Since its inception in 1996, the MOBO Awards has truly become one of Europe’s biggest Music Award ceremonies, and perhaps the most important and influential event for music makers and fans. Celebrating excellence in music for more than 20 years, Sade, Stormzy, Jay Z, Diddy, Tinie Tempah, Skepta, Emeli Sandé, Krept and Konan, Kano, Amy Winehouse, Chip, Janet Jackson and Lauryn Hill are just a few of the names to have graced the MOBO stage. MOBO continues its rich legacy and ongoing growth as the premiere outlet for recognising and honouring the artistic and technical achievements of exceptional British and international talent in the musical fields of Hip Hop, Grime, RnB/Soul, Reggae, Jazz, Gospel, and African music. The MOBO Awards is brought to you by MOBO, an independent organisation based in London, established by Kanya King MBE in 1996 to recognise the outstanding achievements of artists who perform in music. Where does the MOBO Awards take place? The MOBO Awards is an annual UK event which has been previously hosted in London, Leeds, Liverpool and Glasgow - A total of 22 annual award ceremonies. When are the MOBO Awards? The host city and date for the next MOBO Awards will be announced soon. Sign up to our newsletter for exclusive news regarding all things MOBO. What are the eligibility requirements for recordings? To eligible for a MOBO Award nomination, recordings (Albums, Singles, Mixtapes & EP’s) must be released within the specified eligibility period. To be eligible, recordings must be for sale commercially via general distribution or made available as a digital recording, either for sale or via a recognised streaming service. General Distribution: Works must be released via general distribution, defined as the nationwide release of a recording via third-party online retailers, and/or applicable digital streaming services. Applicable streaming services are paid subscription, full catalogue, on-demand streaming/limited download platforms that have existed as such within the United Kingdom for at least one full year as of the eligibility period. Digital Recordings: Recordings released nationwide via download or streaming service. How are recordings screened for a MOBO Award nomination? The MOBO team start this part of the process by compiling a list of recordings that were released in the eligibility period. Using information made available by Official Charts Company, record labels, streaming and online platforms, over a period of about 6 months, MOBO meticulously evaluates each one to ensure they are eligible for inclusion in the list of potential nominees. MOBO does not make artistic or technical judgments about the recordings, but merely ensure that each entry is placed in the proper category. A longlist of eligible nominees are then presented to members of the MOBO Awards Voting Academy via a secure online Voting Academy Website where they will select their top 5 or 10 choices in each category. What is The MOBO Awards Voting Academy? The MOBO Awards Voting Academy is the body who help to select the nominees of most of the MOBO Awards categories each year via a secure online system. The Voting Academy is made up of over 100 key professionals drawn from across the UK music industry. What is The MOBO Awards Judging Panel? Who qualifies as a Voting Academy Member? MOBO Awards Voting Academy Members are professionals within the UK music industry. These may include songwriters, producers, music video directors, press officers, journalists, agents, DJ’s and A&R’s. How do I become a member of the MOBO Awards Voting Academy? For the Nominations Process, MOBO Awards Voting Academy members only. The results from Voting Academy members are then screened by the independent MOBO Awards Judging Panel to produce the final list of nominees. In order to preserve the integrity of the voting process, in select award categories — Jazz, Gospel, Reggae, and African — MOBO Award nominations and eventual winners are determined by Specialist Category Committees, comprised of highly specialised Voting Academy Members who are knowledgeable, passionate, and qualified within these fields. Are Changes ever made to the Voting Process? The awards process is constantly evolving to reflect what’s happening in music. Each year, we receive proposals with suggested changes on everything from awards categories to rule revisions. We typically alert the public and Voting Academy members of any category or rule changes in September. Award process updates for the next MOBO Awards will be reflected here. For further information, please contact theacademy@mobo.com. How many MOBO Awards categories are there? There are currently 8 fields (General, Grime, Gospel, Reggae, Hip Hop, R&B/Soul, Afrobeats, and Jazz) and 14 distinct award categories across those fields. What are the MOBO Awards categories? There are currently 14 MOBO Awards categories in total. Arena ticket prices for the next MOBO Awards will be revealed soon. We also offer VIP packages - further information can be obtained via viptickets@mobo.com. For the general public, all attendees aged six-years-old and up need to purchase a ticket to attend the MOBO Awards. Please note, MOBO recommends all children under 18 attend with an adult and all children under 15 must be accompanied by an adult. For nominated artists, an Awards department representative will get in touch immediately after nominations are announced to outline the ticket application and accreditation process to gain access to the red carpet and telecast. Why should I buy a VIP Package? VIP packages are the only way to receive exclusive insider access to everything that’s happening around the MOBO Awards. Platinum and Gold Packages include the best seats, excellent networking opportunities, access to after show parties and the opportunity to rub shoulders with some of the hottest stars in music and entertainment. To find out more information, please click here http://www.mobo.com/viptickets OR email viptickets@mobo.com. You can also check out VIP Tickets FAQ page right here. I represent a MOBO nominated artist. How do I pick up his/her MOBO Awards tickets? An Awards department representative will work directly with nominees to co-ordinate ticket orders and pick-ups. In order to pick up your artist's tickets, we must have authorisation from the artist himself/herself. When are my artist’s categories being announced on the MOBO Awards Pre-Show? We share the MOBO Awards show rundown—as well as lots of other pertinent information— shortly after our Nominations Launch, which takes place in the lead-up to the awards ceremony. Stay tuned for more information. Where do I pick up tickets to attend the MOBO Awards and after party? If you purchase a MOBO Awards ticket via a third party site e.g. Ticketmaster or Eventim, your ticket will be sent to your selected address or can be collected at the venue box office. For VIP ticket holders, you can arrange for tickets to be collected at our London headquarters or to be handed to you by an Awards representative at the Awards show venue. Further details regarding access to the after party will be outlined in an email, as well in your ticket package. To find out more information, please contact viptickets@mobo.com. How can I apply for a 23rd MOBO Awards Press Accreditation? Please contact press@mobo.com to find out further information. Unfortunately, due to the high volume of applications, we cannot guarantee access or a response to all press applicants. How do I find out about the status of my credential application? An Awards representative will reach out regarding the status of your application a couple weeks prior to the awards. Who are the performers and guest presenters? Performers and guest presenters for the MOBO Awards will be announced leading up to the next MOBO Awards. 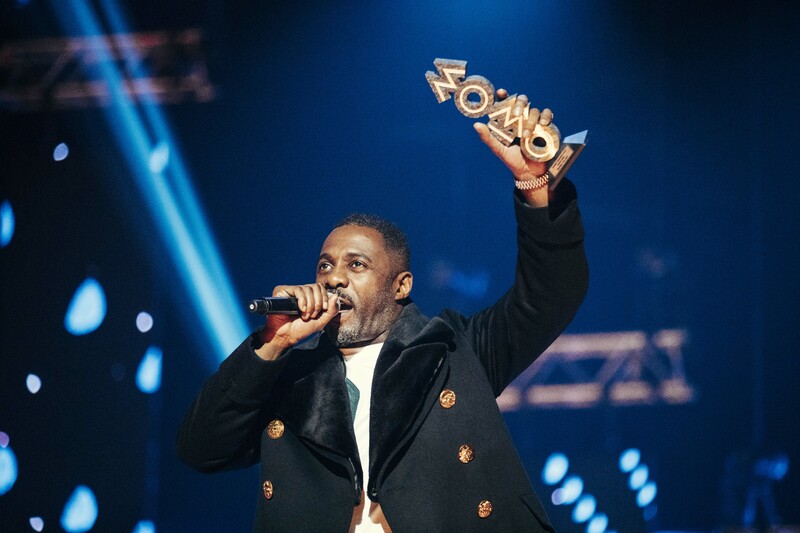 Follow @MOBOAwards on Twitter and Instagram for up-to-the-minute updates. You can also head to mobo.com. Who should I contact to get my artist on the show as a presenter or performer? What social language should I use when posting about the MOBO Awards? When talking about the MOBO Awards, please use #MOBOAwards. Honoured to be among the nominees announced by @MOBOAwards for the #MOBOAwards. So many talented artists nominated by @MOBOAwards as nominees for the #MOBOAwards. Can't wait to celebrate their achievements <insert date> at <insert location>! Excited to join @MOBOAwards and celebrate the creative community at the #MOBOAwards, <insert date> at <insert location>. Is the MOBO Awards red carpet open to the general public or just press? Will celebrity guests sign autographs? Further details regarding public access to the MOBO Awards red carpet will be made available closer to the ceremony. We're expecting several high-profile special guests at the MOBO Awards but any interaction with fans is solely to their discretion. If you have a general enquiry, please contact team@mobo.com. Alternatively, click here if you have a more specific MOBO enquiry.